One of the UK’s best restaurants. Executive chef Simon Rogan’s simple, imaginative restaurant typically exceeds its formidable reputation, serving florid takes on foraged ingredients and food sourced from the restaurant’s own 12 acre farm. After more than 15 years in the kitchen and a number of changes of direction, the menu, cooked by head chef Paul Burgalières, is a showcase for Rogan’s iconic style. Lunch and dinner menus which include anything from 8 to 16 courses waltz with the seasons. 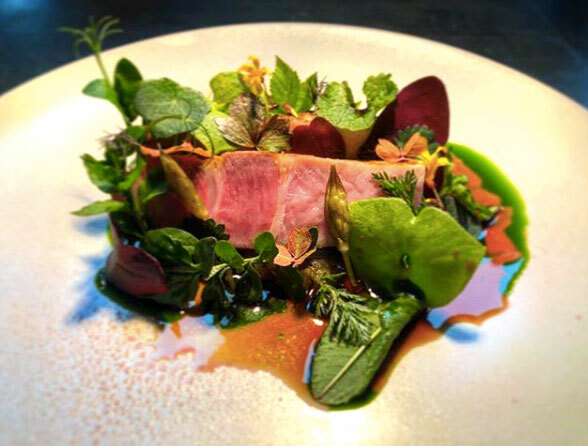 Goosnargh duck could be served with cherries and smoked beetroot, locally-crafted porcelain is a feature of every course, while British ingredients run riot in refreshing configurations: pork and eel are served in ham fat, cod roe is smoked and cabbage fermented in house. Wines are hand picked to complement the food with matched experiences available. In 2018, the restaurant holds two Michelin stars, 5 AA rosettes and prices start at £59 for lunch. Another Rogan protégé comes into his own. This Michelin-starred restaurant and hotel, owned by Lakes hotelier Andrew Wildsmith, is built around the cooking of former L’Enclume forager, Kevin Tickle. The menu is, undoubtedly, “inspired by the Cumbrian landscape”, but there’s plenty more going on here, with aspects of Scandi and Californian chic creeping into the tasting and lunch menus. While adventurous meat eaters are very well catered for, vegetarians are certainly not left out. 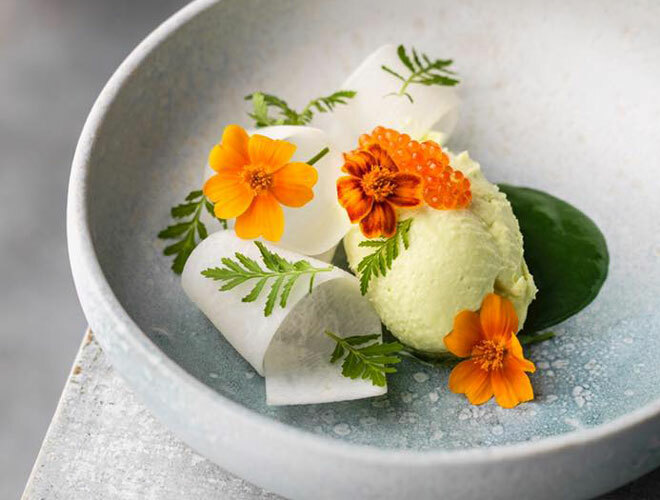 In fact, ‘garden shenanigans’ are a theme as lovage, anise hyssop, woodruff, lemon verbena all typically feature along with wild garlic capers, elderflower and coastal greens. A wild-maned toddler of a restaurant, bound for great things. Lake Road Kitchen is an exciting place to eat. The baby of former Samling chef, James Cross, is one of the leading lights in the Lakes foraging trend, serving mostly food grown in Cumbria, as well as aged retired Dairy Holstein txuleta (steak). A whole cauliflower, steeped in pine and goat butter is one of Cross’s signature dishes from a tasting menu that clocks in at £65 a head for five courses, or £90 for eight. Swoon over the texture, pick the pine needles out of your teeth after. Homemade goat yoghurt offers inspired contrast. Pickled, roasted and raw heritage carrots are another salve as the small team strut about, full of foraged facts. Meaty mains draw on a winter palate that could include vension (Holker Estate fallow deer), Norweigan salmon, arctic cloudberries and black winter truffles. Desserts could include baked sweet woodruff custard and sour cherry crumble while iconic Northern European cheeses such as aged Comte and oozy Berthaut’s Epoisse cheese are offered with homemade sourdough and homemade ‘virgin’ butter (including the curds and whey). Wines from the Northern European region could include white Furmint, Slovenian varietals and British sparklers. Delightful lodge and fine dining restaurant oozing exclusivity. A favourite of Hollywood celebs (like Tom Cruise), it’s easy to see why this charming, collection of restored farm cottages is thriving; recent additions include restaurant and kitchen complex alongside the main house complete with glass fronted dining room overlooking Lake Windermere. Head chef is Peter Howarth who came to the Samling from the two Michelin star Gidleigh Park in October 2017. Expect forest flavours and plenty of ambition. Torched smoked eel with eel jelly, crispy bacon and Japanese cucumber, for example, or nori cured salmon with garlic panna cotta, but there are plenty of classics too such as Cumbrian beef and braised cheek with mushroom jam and morning glory. Chef’s imagination runs riot at dessert: Colston Basset mousse could be served with pickled pumpkin, pumpkin granola and pumpkin puree, while aniseedy baby carrots are paired with milk ice cream. Presentation is immaculate and a private forest rife with deer makes a stroll after dinner a must. 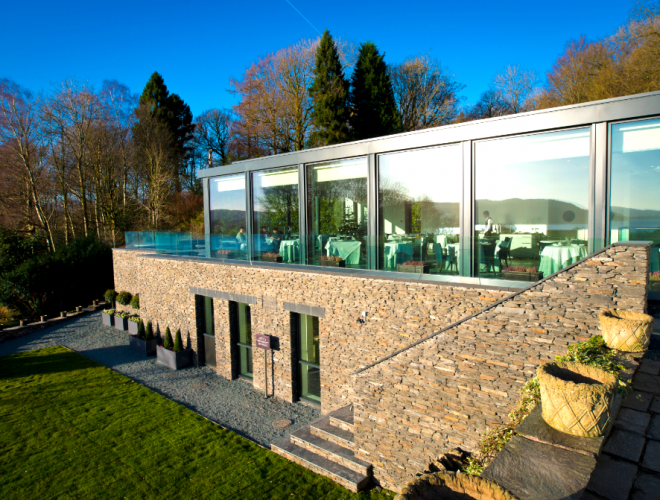 Despite a dream wedding vibe, The Samling is relaxed enough to work as a refreshing break and the wine list is rated as one of the best in the world. The restaurant lost its Michelin star after the departure of the outgoing head chef in 2017, but retains 3 AA Rosettes. Home cooking with Rogan elements in cosy surrounds. 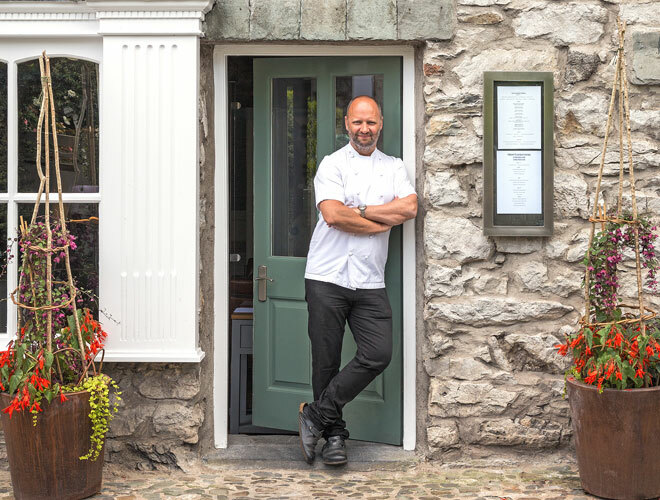 Simon Rogan is the owner of award-laden L’Enclume (currently number one in the Top 100) and this is his more casual restaurant, just around the corner in the medieval village of Cartmel. 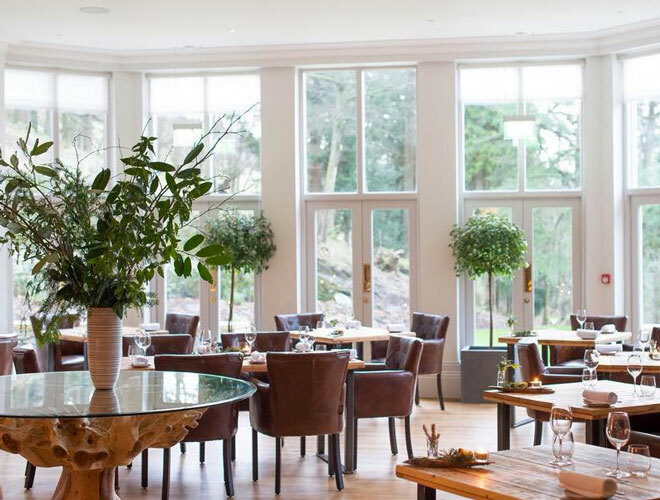 Head chef was Kevin Tickle, who has since won a star at Forest Side (Grasmere, also in the Top 100) so the stakes are high for new head chef, Gerald Van Der Walt, who comes to Cartmel from The Greenhouse and Le Quartier Francais in South Africa. 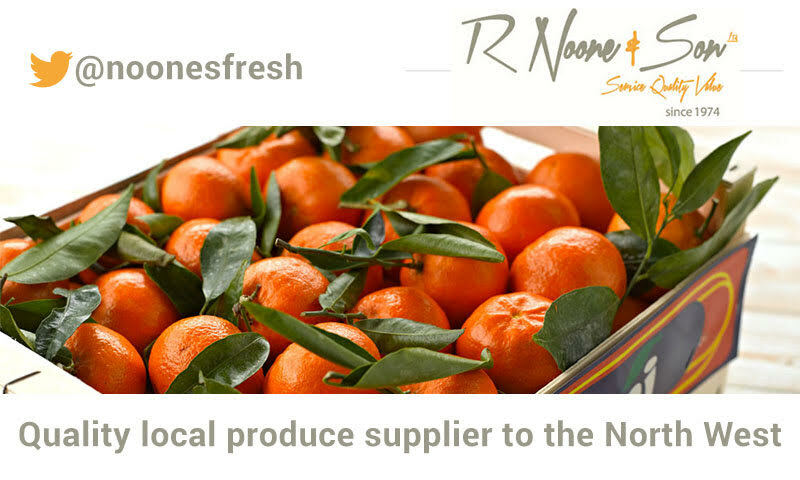 However his menu sees region’s finest ingredients served with confidence, in true Rogan style. Typical dishes include confit leek with a soft poached egg, nasturtium, mackerel parfait or venison with beetroot and chicory from Rogan’s farm. There’s local pork and regional hispi cabbage combined with kale and pickled walnut, while picture perfect puds could include Tonka bean ice cream with miso butterscotch, caramelised caramel tart (not a typo), and a local cheeseboard. Wood and oat shades, blackened beams and sturdy furniture complete the cosy picture. The restaurant currently holds 3 Rosettes in the AA Guide.